Heading south to Wilmington Delaware, I realized I had not set a meeting with the DCADV, I called as I left on my thirty minute drive to this city. Forty minutes later, I am sitting in their offices with; Carol Post Executive Director, Stephanie Merrell Director of Communications and Development, Sara Mersch Policy and Economic Justice Specialist and Marilyn Siebold Mental Health and Trauma Associate. What dedication these women have to put together a meeting on such short notice. I was impressed and honored all at the same time. We covered so many interesting facts about Domestic Violence, facts which will help in shaping my talks with all parties affected by this issue. We also discussed the various programs they have to address this problem in our society. 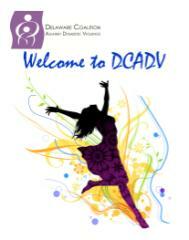 Thank you to everyone at the DCADV. Today’s short bicycle ride of twenty eight miles was made a bit easier by stopping in at the Moose for a quick visit. The Moose do such great work for children and seniors alike. I am proud to be a member of such a wonderful organization. This entry was posted on Tuesday, May 24th, 2011 at 8:58 am	and is filed under Kindness. You can follow any responses to this entry through the RSS 2.0 feed. You can leave a response, or trackback from your own site.